I love this VonShef Boston Cocktail set, it’s stylish in the brushed gold look and it comes with a recipe book that has some delicious cocktails in it. 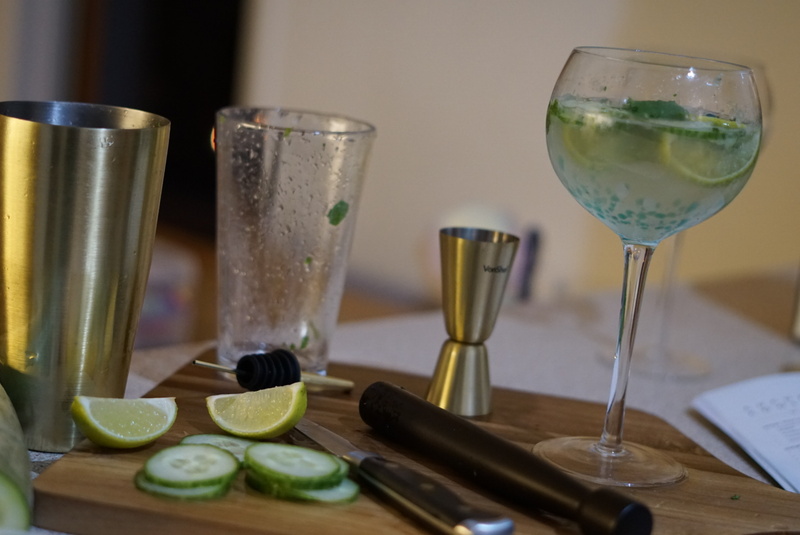 As Gin is my favourite tipple, I chose the Cucumber Cooler cocktail recipe and it is delicious. It’s the perfect drink to rustle up on Mother’s Day.